You are at:Home»All News»Stay on the bus! In Mayapur, there is a bus that stops everyday in front of the gate of our Sri Caitanya Candrodaya Mandir. When one gets on the bus in Bengal, it is not uncommon that people are involved in a heated discussion because Bengali people are fiery people and they like politics. So often times, great discussions would be held on the bus and even when the original people who started the argument got off the bus, the argument stayed on the bus the entire day. 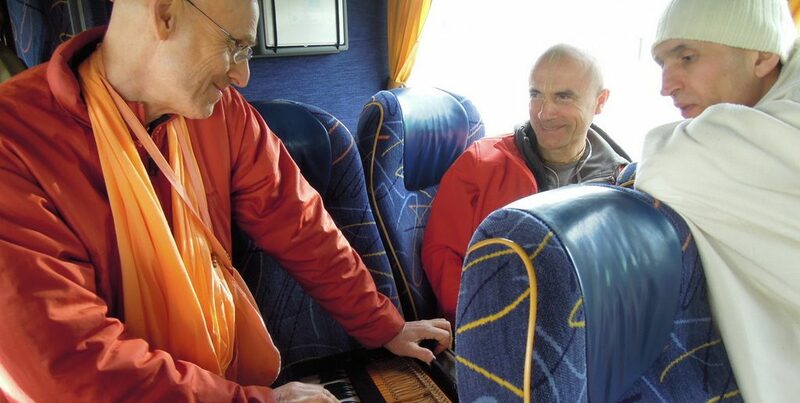 So in the same way, even when the people who started the kirtan have left, the kirtan just ‘stays on the bus’. 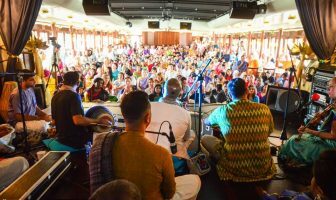 So like that, may the kirtan stay with us even when we are no longer here together. 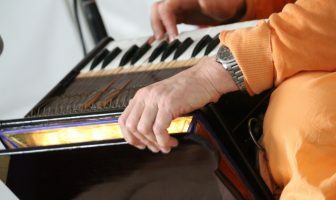 The kirtan carries on – akhanda kirtan, endless kirtan. 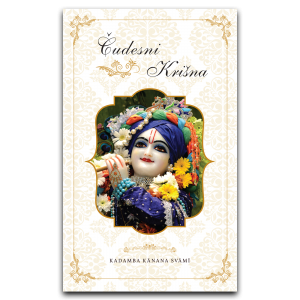 Kirtaniya sada harih, that ongoing chanting is our desire. In order to come to that point, one must become thoroughly honest. 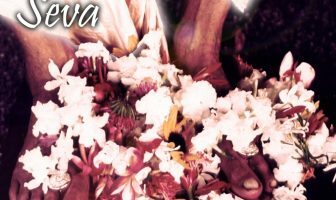 A sadhu is one who is sadhava, thoroughly honest, and when we become thoroughly honest, then automatically we must become humble – because everybody knows how many mistakes we make all the time. Everybody knows how limited we are really. When there is a success, mostly it is good luck and has nothing to do with us! When there is a failure, it is normal because that is basically where we are at. 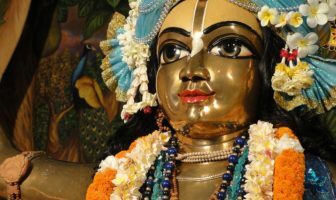 Considering all that, when we are honest, then humility can finally develop in our heart and maybe then, maybe that day we will be able to always chant the holy name of the Lord. I am praying for that and I thank you for your kind association upon me, for your enthusiasm. Thank you very much because it is together that we will go back to Godhead, and it is together that we are continuing our spiritual life: sometimes meeting and sometimes not meeting – being apart but we remain together. It is nothing between us, because our only interest is to together make spiritual advancement. So for that, I am grateful because I have been nourished in your association and I am leaving here carrying that with me, taking some energy of Serbia to Italy and will try to drown the devotees in some Serbian ecstasy. 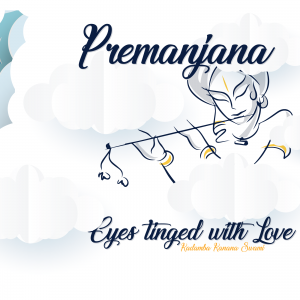 In that way, we wait for the Italians to become all ecstatic, and then from there we will drown again another part until the whole world is submerged in the chanting of the holy name!